Cryptocurrencies, like Bitcoin and Etherium, have become a major topic of conversation, not only among technologists but also among the general population. As the value of Bitcoin skyrocketed, interest in its usage did as well. As the value has dropped, interest has not diminished by much. But, the problem is, few people understand exactly how to take advantage of this new style of virtual currency. If you are a retailer or a restaurant, for example, how can you accept Bitcoin in your establishment? Credit cards are easy enough, with payment processors available a dime a dozen, but what about cryptocurrencies? 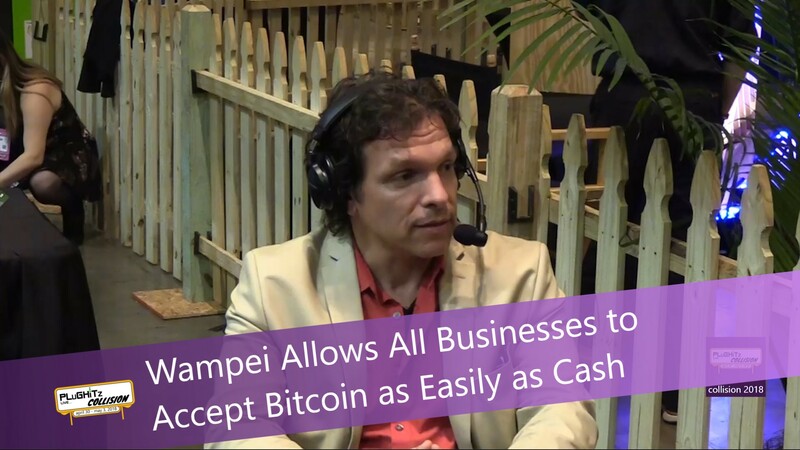 Enter Wampei, the non-standard payment processor bringing cryptocurrency to a variety of businesses. Accepting cryptocurrency creates a number of efficiencies. For example, businesses have no need to worry about chargebacks, a massive source of loss for many businesses, because they not only lose the money but also the product, adding insult to injury. Since cryptocurrency works like cash, once a transaction is complete, it is complete - no take backs. Also, since there are no financial institutions involved, the cost of transactions is far lower. With credit cards, companies can pay upwards of 10% of the transaction as a fee to the payment processor, depending on the processor and the type of card used. That means that products have to sell for a higher price to make up for the loss to the processor. With Wampei, however, they're not really a processor - more of a facilitator. Businesses whose average transaction is under $500, which is probably most, can save up to 80% over accepting credit cards. With Wampei, you also don't need to have a bank account, which is not the case for credit cards. You can store your company's Bitcoin is an offline, protected wallet and only have enough available online for refunds, similar to having cash in your register. Converting your Bitcoin to standard currency is also fairly easy, as ATMs have begun popping up all over. For more information on Wampei, or to sign up to begin accepting Bitcoin, check out their website.